1.Great little set of dry erasers. Just the perfect size for kids' little hands . 2. Good dry erasers with good magnets to help them stay rather than slipping. 3. Widely applicable to white black boards, dry erase sheets, melamine, porcelain and glass surfaces. Note: please keep Magnetic Whiteboard Erasers away form fire. 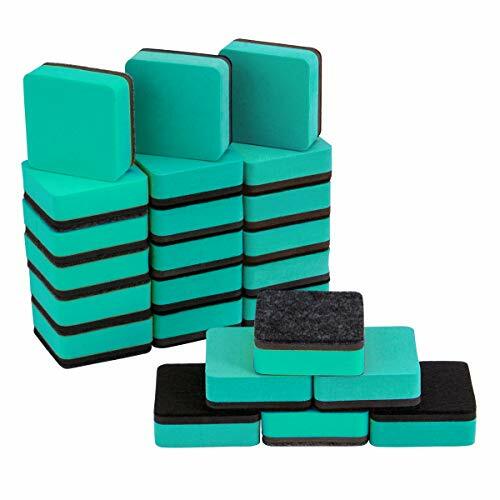 The whiteboard erasers are suitable for white black boards, dry erase sheets, melamine, porcelain and glass surfaces.